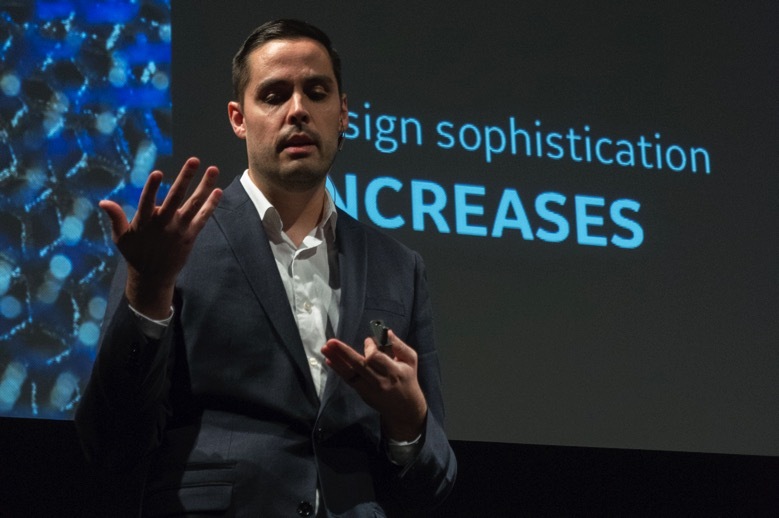 Ideas generated by General Electric’s workforce will produce more than $5 billion in production cost savings said Joshua Mook (above), engineering leader at GE speaking at a conference in San Francisco for users of Brightidea’s innovation management platform. Mook said that the use of advanced 3D printers is creating disruption in manufacturing. And by combining the ideas and knowledge of GE's vast ranks of technologists, new products can quickly be produced: such as aircraft engines with hundreds of fewer parts, higher fuel anyone and lower weight. "If I have 300 fewer parts that means I don't need to spend months signing 300 contracts with suppliers. I can print the parts that I need. And my inventory costs have almost gone away - all that cash siting in warehouses is now free to be invested," said Mook. Because of its earlier success, Mook's team was given the task of finding $5 billion in productivity cost savings over a ten year period across the company. By engaging GE staff in generating ideas and also offering them a percentage of the savings the idea generates - it took just 9 months to identify and start implementing billions of dollars in cost savings. "We have a backlog of more than 1000 great ideas that have already been approved by our committees that are waiting for resources." Mook said that GE realized several years ago that its global manufacturing groups could be disrupted by advances in 3D printing and so it formed the GE Additive business group "to disrupt GE before anyone else did." "We are good at choosing people that are the best fit for the job rather than the best at what they do," Mook said. Brightidea's Synthesize conference featured several large users of its idea management platform including US Bank and Cisco Systems.